This quick start option involves a bit of soldering and tinkering. It forms a good basis to add additional sensors and prototype your IoT product or service. Make sure there is KotahiNet coverage in your area as otherwise it will not be possible to connect devices to the network. Email us any questions about network coverage or to prioritise network roll-out to your area. 1. 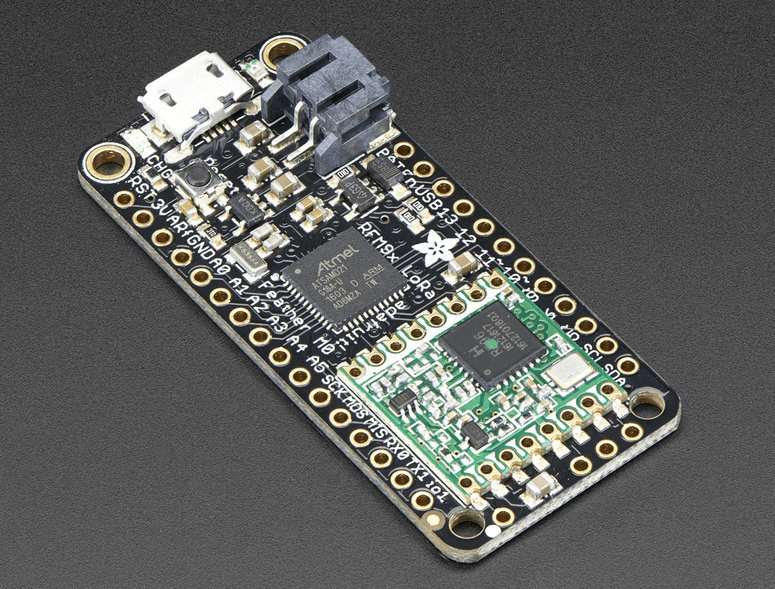 Buy an Adafruit Feather M0 with RFM95 LoRa Radio – 868/900MHz from Nicegear. Cost is $57 including GST. Shipping is an additional $5. 2. Fill in the form below. We will send your ABP (Activation By Personalisation) details- Device Address, Network Session Key, and Application Session Key- and how to view your data immediately online. There is no cost to use the network or online data tool for up to 6 months. 3. Follow the instructions for hardware and software put together by Mike Cochrane. That’s it! We’re ready to help if you need it.